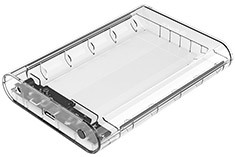 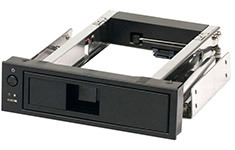 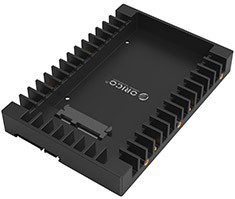 The Orico 1106SS SATA mobile rack uses a single bay to fit one 3.5in SATA HDD or SSD. 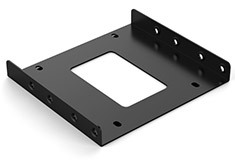 It fits in a standard 5.25in drive bay for easy installation, fully supports hot-swap and hot-plug capabilities and features tool-free access for easy HDD installation. 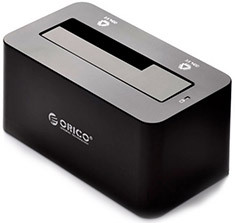 The Orico 6619US3 hard drive dock allows you to quickly and easily access files on SATA hard drives. 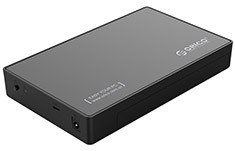 Simply connect the device to a USB Port and swap hard drives without needing to reboot the PC. 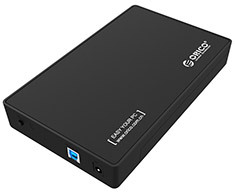 Designed for both 2.5in and 3.5in SATA hard drives or SSDs. 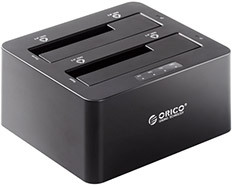 The Orico 3.5 to 2.5in Basic Hard Drive Caddy allows you to easily install a 2.5in SATA hard drive or solid state drive in a 3.5in drive bay, expanding the storage in your PC. 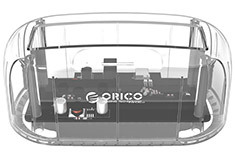 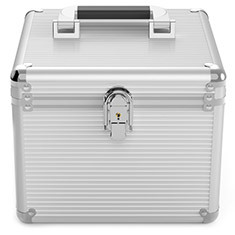 The Orico BSC35-10 is an aluminium hard drive protective box capable of housing up to 10 3.5in hard drives for safe keeping. 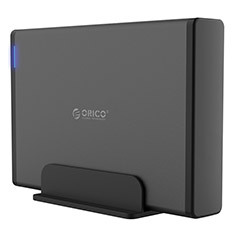 A thick shockproof sponge inside with good elasticity buffers against all kinds of vibrations and shocks, protecting your HDDs and data.